I’m Going to be a Big Sister! Synopsis: Amanda’s mommy is pregnant and Amanda is going to be a big sister. In this story Amanda learns about preparing for the new baby’s arrival and what it truly means to be a big sister. Winner of the iParenting Media Book Awards Best of 2007. Synopsis: Warm, loving pictures accompany this upbeat look at how a family grows when a new baby comes home. A companion volume to I’m a Big Brother. Synopsis: Can Katy Duck learn to share the spotlight? Katy Duck’s little brother, Emmett Duck, is cute, small, cuddly…and he’s getting all of the attention! Katy is no longer center stage — and she’s not happy about it. Read along as Katy twirls, spins, and leaps her way through this amusing story and learns an important lesson — in her own charming Katy way! 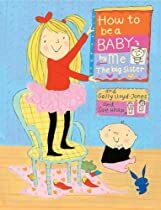 Synopsis: Becoming a big sister is a big event! There’s so much to share—and do—and celebrate! Beloved actress, author, and mother Brooke Shields paints a warm and loving picture of the joys of sisterhood in this merry book with exuberant artwork by the talented Cori Doerrfeld. 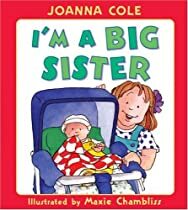 Synopsis: Take it from the narrator of this book, an all-knowing big sister: when you’re a baby you don’t read books. You eat them. You don’t know how old you are, or even if you’re a boy or a girl. And you have to keep a special plug in your mouth to stop your scream from coming out. But one day, you won’t be little anymore, and then you’ll be taller and smarter, and actually quite clever. Like the narrator. And you’ll be able to share memories of what it was like when you were little with your incredible Big Sister. Hi – I came here as I have Google alerts set up for Bookarazzi. You might find the site useful for your research. Great to come across someone else this passionate about encouraging kids to read! I love the idea of Bookarazzi. Very fun! Debi – Thanks for the great link. Jen – I’m glad you like the idea of Bookarazzi.